More than two decades since the last installment of the classic Muppet Show sketch Pigs In Space—or Pigs In Spaaaaaaaace! to be more accurate—the official Muppets YouTube channel has released the first episode of a new Pigs In Space web series. The premiere episode features Captain Link Hogthrob suffering from some stomach pains, and at the risk of spoiling the gag, it may or may not be a reference to an iconic scene from a certain sci-fi film about a single extraterrestrial creature attacking a group of humans. 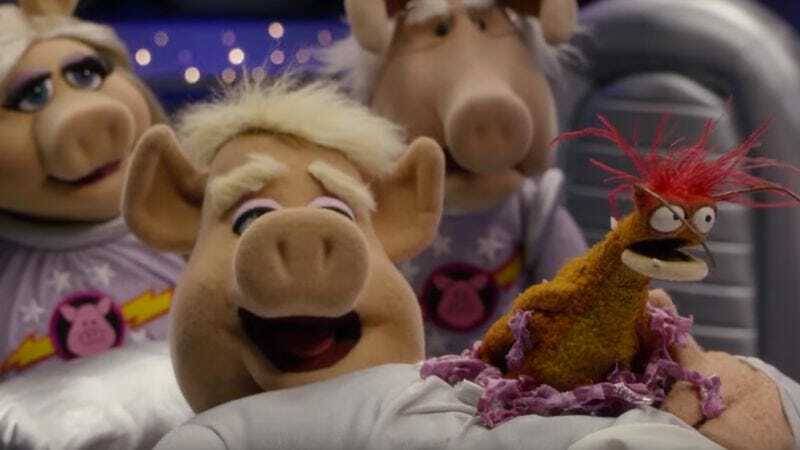 According to Nerdist, one more episode will premiere before the end of the year, and it will be a Gravity parody that features “another very famous Muppet guest appearance.” Assuming Miss Piggy plays the Sandra Bullock role, then, who is the Muppet-equivalent of George Clooney? Sam The Eagle? The Swedish Chef? We’ll know whenever the new episode comes out.